In the capital, make your money stretch even further by using a Visitor Oyster card for journeys on a variety of public transportation services around London, thus ensuring the lowest rates, capping daily travel costs, and sidestepping the hassle of deciding which ticket to buy. The TFL website helps you plan the best routes as you explore the city. Also, if you’re flying into Heathrow, don’t shell out for the Heathrow Express, but opt for the cheaper Piccadilly Underground line, which takes your right into the heart of London. Thinking of traveling further afield? A BritRail pass (lasting three days to one month) offers unlimited train journeys around Great Britain, allowing you to take advantage of visits to less expensive cities like Liverpool, Cardiff and Glasgow. 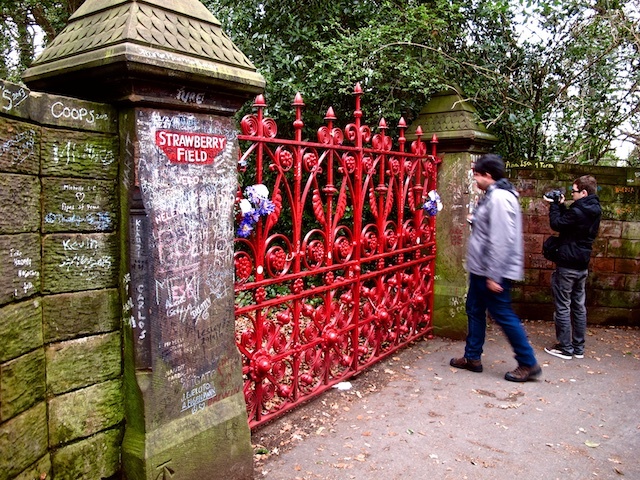 On Liverpool’s Magical Mystery Tour, visitors have an opportunity to exit the bus and take a photo at the gates of Strawberry Field. John Lennon used to climb a tree in his aunt’s backyard to peer over the fence at this former boys’ home. 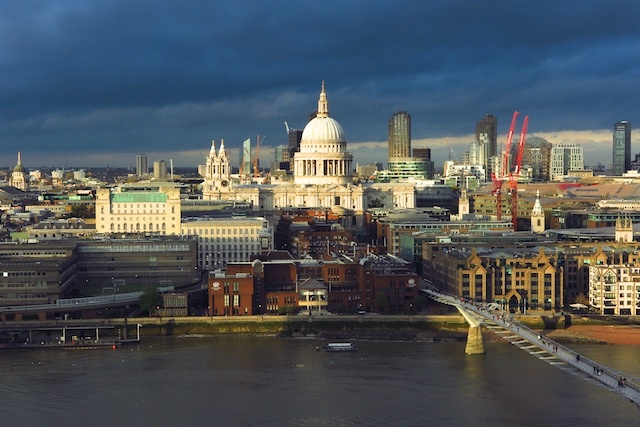 Culture vultures can visit more than 20 free museums and galleries in London, including the Switch House at the Tate Modern. Bonus: the viewing deck atop Switch House offers a striking 360-degree panorama of the city skyline, at no charge. For discounts on paying attractions, check out VisitBritain.com. Save on accommodations with AirBnB, or bunk down at Generator London. 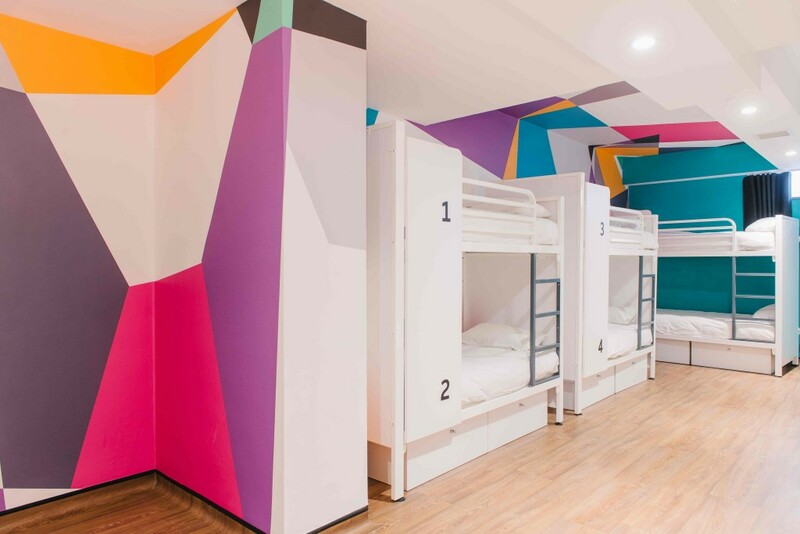 This hip new generation of hostel has a selection of private, en-suite rooms, as well as shared digs. Dorm room. Photo courtesy Generator London. For high-quality, low-cost grub, fill up at restaurant chains like Eat and Pret-a-Manger, serving fresh sandwiches and salads, Itsu, offering sushi and soups, and Wahaca, dishing up delicious Mexican dishes. (Good Mexican in Great Britain? Yes, really). 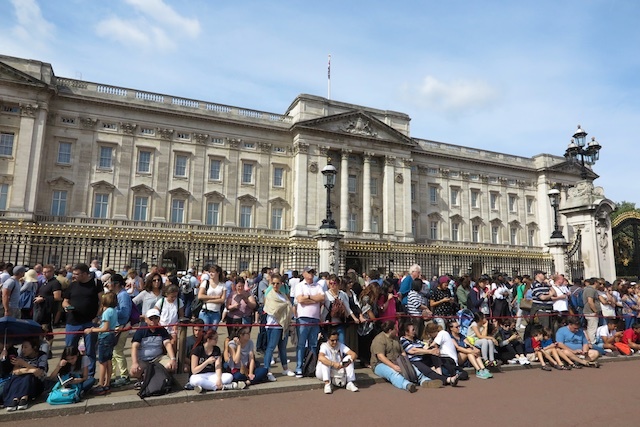 Lace up your hiking boots for a self-guided walking tour along the River Thames, taking in some of London’s top free attractions. You’ll find my detailed map describing key sites here. 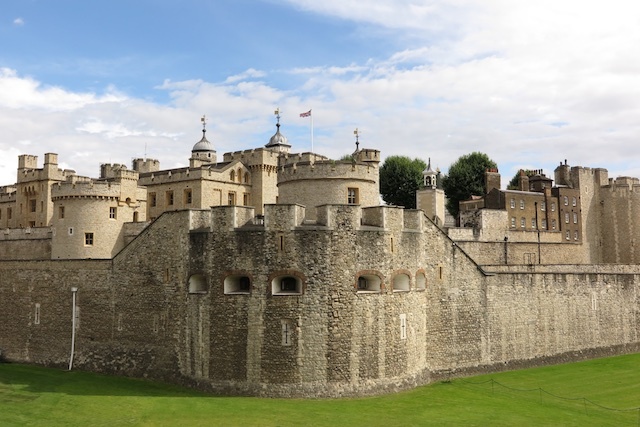 While a tour of the Tower of London is highly recommended, you can still get great views from outside the walls without paying a penny–or a pound, as the case may be. For more ways to save big in the world’s most expensive destinations, from New York to Singapore and St. Barth, check out Laura Begley Bloom’s article for Forbes.